Copper pots are a great addition to your cooking arsenal. This metal material is preferred by many chefs all over the world because of its ability to conduct heat. Its good conduction system enables the copper material to distribute heat evenly, thereby preventing food from sticking to the surface of the pot. There are no hot spots that can interfere with cooking – a fail proof material that both home cooks and professional chefs will find ideal for their use. Cooking pots made from copper also boast of a considerable weight. It’s not too heavy that you need to use a lot of arm muscle but not too lightweight that it doesn’t feel secure when it’s sitting on your burner. And because you can easily control its temperature, you can cook a variety of temperature-sensitive dishes. You can whip up dishes as if you are a pro because the cooking set prevents you from burning your food fast. Upon checking what’s out there, here are the products we think are the best when it comes to price, quality, beauty and performance. 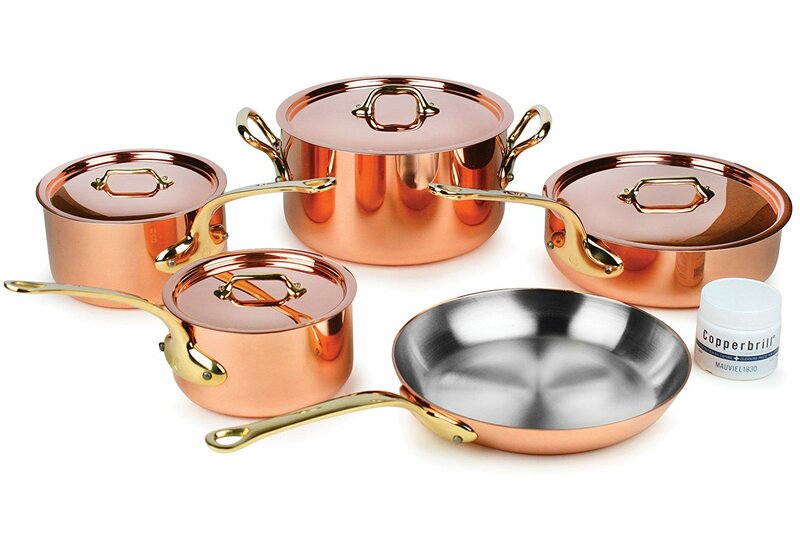 This is a premium copper cookware set but without the premium price. As the pots are made from copper materials, it delivers excellent conduction properties that allow better heat distribution and heat retention. This 10-piece set is an ideal starting set for people who do a lot of cooking at home. It comes complete with pots and pans and everything you might need for cooking. Get this if you are looking for a copper pan set that will work seamlessly not just on your stove but also in the oven or in the broiler. You can safely cook in this pan in temperatures for up to 500 degrees Fahrenheit. The lids are made from stainless steel rather than copper, which is a more ideal set-up when it comes to keeping moisture in the pot locked. The pots have a good weight and shape to them. The edges are flared so when pouring soups out of the pans, you don’t have to worry that it will get everywhere. The size is also perfect for those cooking for themselves only or for everyday cooking for their family. It’s a beautiful set, one you will be proud to display in your kitchen. It would also make the perfect gift for other people on special occasions. Say goodbye to non-stick pan flaking off and mixing with your food. This one doesn’t have such a problem but has the same non-stick properties as these pans. The handles are easy to grasp and feel ergonomic. It does require some more love and attention, otherwise, the copper will tarnish or change in color. You would want to have a copper polish in hand to keep its shine. Not all the pots came with a lid. If you like everything with a lid, you might be disappointed. 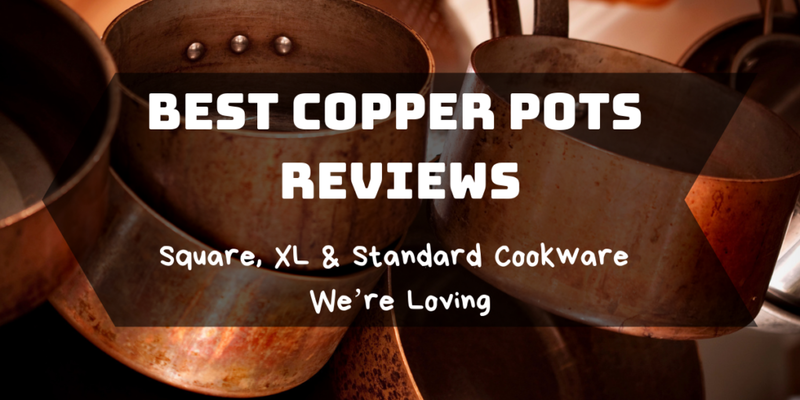 Want a copper pot cookware set but don’t have a budget for it? This set is the perfect choice for you. The price is accessible but won’t compromise on performance and functionality. The set comes complete with 9 pieces of pots and pans and additional accessories such as a steamer tray and a fry basket. Not all copper pots deliver on non-stick properties but this one has been coated with the manufacturer’s cerami-tech non-stick coating for better performance. Use this for cooking over your stove top but might not be ideal when subjected to temperature higher than 850-degrees Fahrenheit. The heat distribution is unparalleled and is quite helpful for people who need to heat different types of food. 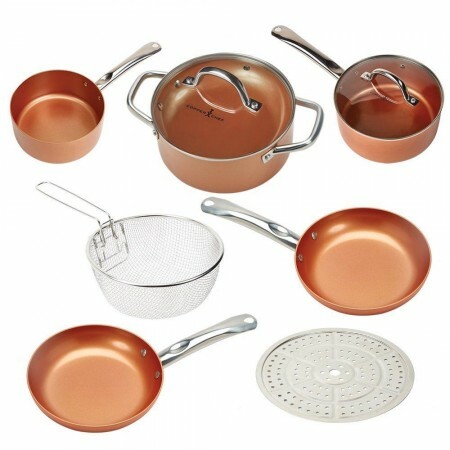 Get this if you are looking for an entry-level cookware set made from copper. This is one of the cheapest copper pot sets you can find in the market. The quality of these pots stands out. Even if the price is more accessible than others, it offers high-end quality that you won’t find disappointing. The pots and pans are truly built to last. Everything from the actual pot to the handles and the lids feel solid. They also sit securely on top of the stove but isn’t too hefty. It is one of those pots that have an induction cooking steel at the bottom. This not only makes this compatible for induction cooktops, it also prevents the bottom from staining and warping, which often happens to other copper pots when not taken care of properly. This is also ideal for people who don’t like to do a lot of scrubbing and cleaning. 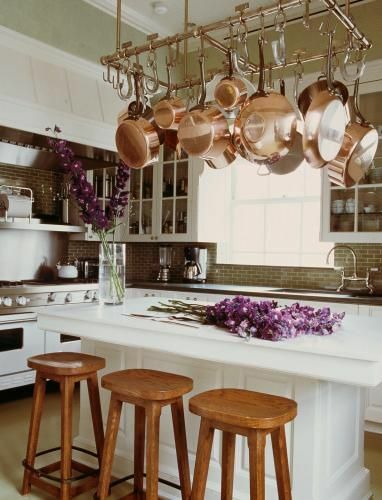 Copper pots tend to be notorious for developing stains and spots at the bottom, but this seems to be a cinch to clean. Some people even just had to wipe the surface with a paper towel. The size and number of pans are just right for small to medium cooking needs. It’s just right for home cooking and maybe even some cooking for small parties and for sending food to the neighbors. The smaller pots do not come with a lid. This might be a disadvantage when you are making sauces or gravy. Some of the pans are not compatible with the induction plate also produced by the same company. You get everything you need for a starter cooking set with this one. You have a two different sizes of saucepans, a stock pot, a sauté pan and a skillet. With the exception of the sauté pan, the other pots come with a lid. Its 2.5 mm thick copper is thick enough to conduct heat effectively that allows users to control how much heat is going to the food they are cooking. The entire set is made in France, but the pieces are not completely made from copper. There’s 10% stainless steel included, which gives them more durability. 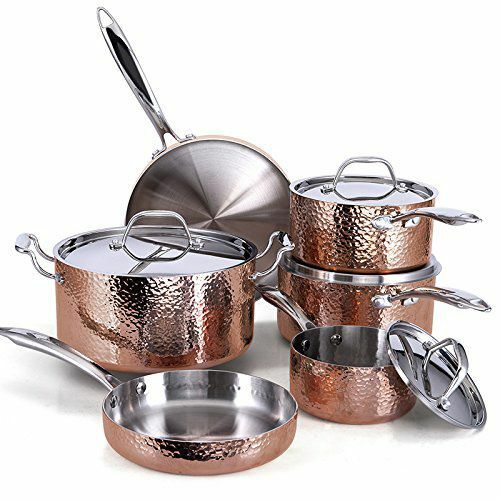 Get this set if you are looking for wonderfully-made copper pots and pans to use for more serious cooking. This cookware set is one of the best out there. The craftsmanship is superb, and the over-all build is top-notch. Chefs and serious home cooks alike will find this a great addition to their cooking repertoire. It is heavier than standard cookware sets but a lot of people prefer this added weight as it gives them more stability. It ages so well. This is why many people consider them heirloom pieces. There were no issues with sticking when it comes to these pots so you can really tell it has the most copper content. It’s quite an expensive set of copper pots. The handles retain heat. Be careful not to touch the handles with your bare hands. Remember to use a pot holder. Some said the lids are not comparable to the quality of the pans. If you are looking for a beautiful cookware set to invest your money in, get this. It is a beautiful set that you will be proud to display and use in your kitchen. The red copper material is thick enough to provide the best cooking ability to owners but also has a mix of stainless steel for added durability. You will love the cast iron handles as it gives the pots not just heaviness but also a rustic appeal. You can use these pots and pans for stove top, oven or broiler cooking but make sure to keep it away from an induction system. Whether you are an expert cook or a professional chef, you would want to go the extra mile to get this set. The sizes of the pots and pans are great for different kinds of cooking. You can cook things like sauces in the smaller pots and not have to worry about getting the stains from the sauce off of the pot. Very little heat is needed when using these pots. Even when you set the temperature to low heat, the pot heats up quickly so you can cook right away. The design is simple and minimal, great for those who don’t like gaudy kitchenware and who like to keep their home cookware sets streamlined. Say goodbye to burnt food. A lot of customers said they haven’t produced bad food since using this cookware pot. You don’t even need to rotate the pan to get even heat. Solid bits and pieces of food can be removed easily. Just soak them in water for a bit and then use a paper towel to get rid of the residues. Healthy cooking is now made possible, thanks to this high-end cookware. You don’t have to worry about non-stick coating mixing in your food. It’s not that tough to clean but you will need to polish it every now and then to maintain the beauty of the pots. It’s not the cheapest copper pot cookware set out there. 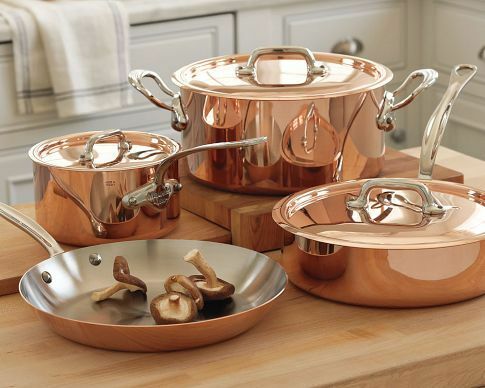 You would want to add this mid-range copper cookware set to your kitchen essentials. The designers took inspiration from their Spain travels and created sensible but beautiful pots and pans that you will surely have fun cooking beautiful and delicious dishes from. It boasts of a tri-ply design that mixes copper with other materials like stainless steel. The addition of other materials increases the hygienic properties of these pots and also makes clean-up easier. Use this for different cooking tools such as your grill, oven or burner. It conducts heat wonderfully. There was a customer who accidentally left the pan on the stove in simmer mode all day long and came back to it in a torched condition but the pan managed to distribute heat evenly, so a disaster was prevented. The customer was even able to restore the pan with the use of a copper polisher. The pots are beautiful to look at. You can proudly display it in your kitchen. They are actually lighter than other copper pots so if you have issues with your hands like arthritis and don’t want your pots to be too heavy, this is a good choice. Many users like how slim the pots are compared to other bulkier options out there. The lids are also high-quality, and they will last as long as the pots. Some had issues with discoloration of the pots. There were also reports about how the inside can be a little harder to clean. There were also issues about the copper material coming off. Not all copper pots out there are created equal. A thickness of 2.5mm and above should be an ideal starting point for thickness so you are getting enough copper material and commendable heat distribution quality. If it’s thinner, you might not get a lot of use from it and the pots and pans might succumb to damages more. Pots and pans come in different sizes and height. Some pots may have more depth than others. Which one you should choose will depend on your needs. If you tend to cook more, you need to opt for the bigger and deeper pots. Also check the other materials used. 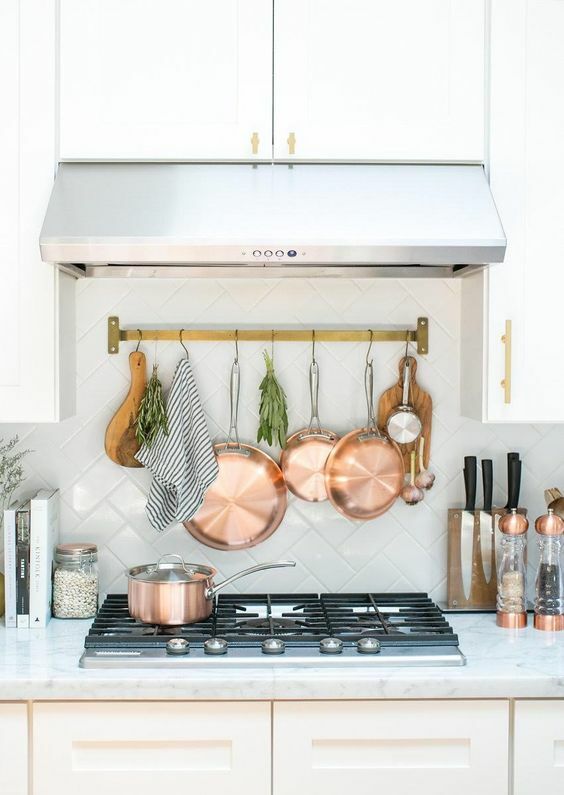 Some copper pots and pans may come with brass or cast-iron handles. Also check the lid. If the lid has glass material, it might not complement the look of the copper. If you do a lot of cooking in the oven or grilling, make sure the pots and pan will work in whatever cooking device you are using. Check the maximum temperature they can be subjected to so as to avoid damaging your pots. 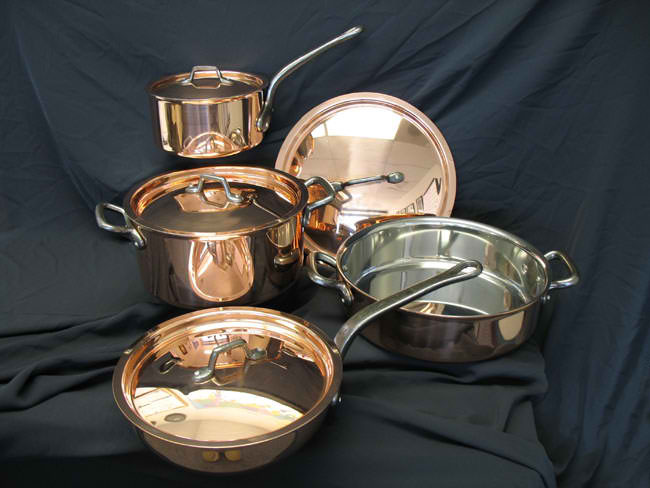 Some copper pots may even have compatibility with induction cooktops. 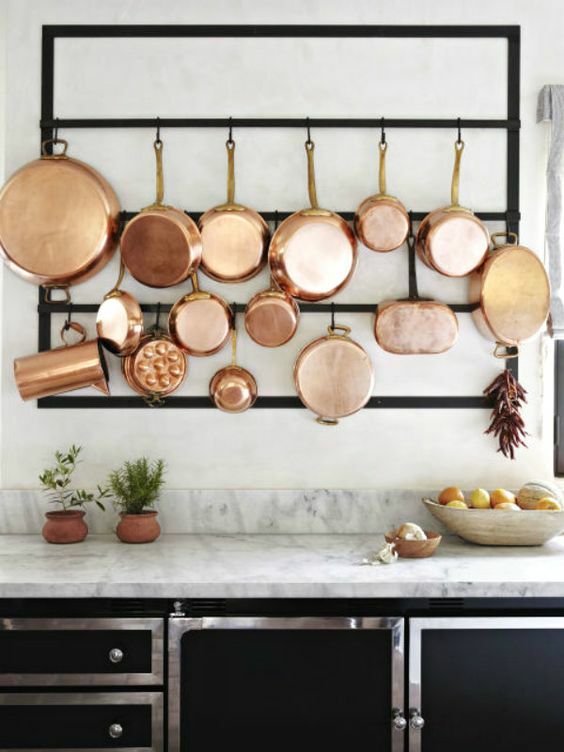 When deciding which copper pot to buy, think about your personal preferences first. If you want to have a great addition for your kitchen, you should invest in the best copper pot such as the Lagostina Q554SA64 Tri-ply Hammered Stainless Steel Copper Cookware Set, 10-Piece. If budget is not an issue and you truly want to make the best investment, go for the Mauviel M’heritage M250B 9-piece 2.5mm Copper Cookware Set with Bronze Handles or the Matfer Bourgeat 915901 8 Piece Bourgeat Copper Cookware Set. They are built solidly, and they have a beautiful design so you can pass these on to the next generation with no problems. 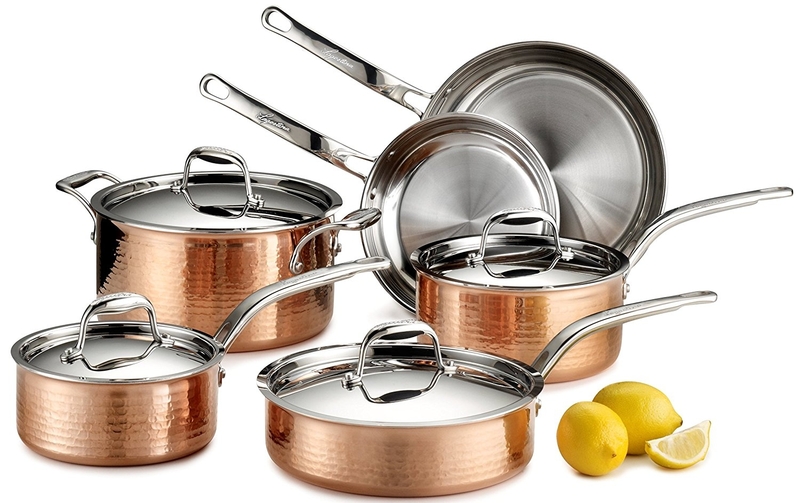 The Lagostina Q554SA64 Martellata Tri-Ply Hammered Stainless Steel Copper Oven Safe Cookware Set, 10-Piece and the Fleischer & Wolf Seville Series Cookware Set Tri-Ply Hammered Stainless Steel Copper are mid-range options that won’t fail you. They may not be in the same league as the previous ones when it comes to beauty and durability but they won’t fall short on performance. They can become your trusted allies in the kitchen for home cooking. The Copper Chef Cookware 9-pc, Round Pan Set Aluminum & Steel with Ceramic Non-Stick Coating won’t break the bank and is a great option if you are just starting out in your new home or in need of a basic cooking set that won’t fail you. Consider these recommendations and choose the one that offers the benefits that appeal to you more. If you are looking for more cookware you can add to your home, check out our homepage for recommendations, product reviews and buying guide.